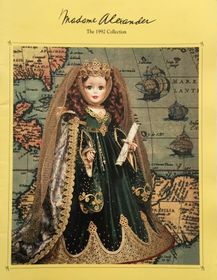 The Madame Alexander 1992 Collection catalog features 55 pages of color photos from the 1992 collection along with a two page introductory history of Madame Alexander dolls with photos of vintage dolls. 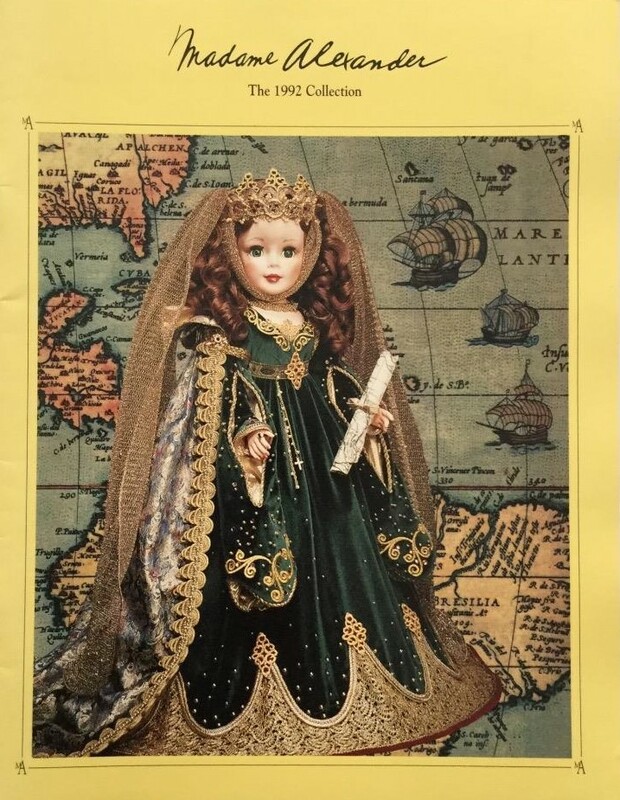 The catalog covers some all time favorites, some rare and hard to find dolls and some dolls that newer collectors may have never seen. Years ago when the Alexander Doll Company was moving their offices, I bought several unopened cartons of older catalogs - so while older, this catalog is still actually 'new' and unused.